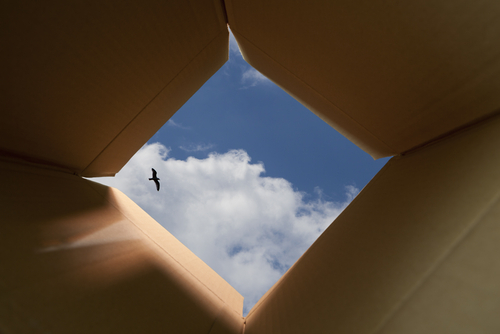 The Patent Box regime offers a qualifying company the opportunity to reduce its corporation tax bill. Qualifying income and gains can benefit from the headline 10% tax rate. The transitional phasing in of the relief in the early years of the regime has expired. From 1 April 2017 companies are able to take full advantage of the 10% tax rate compared to the current normal rate of 19% for profits in the same period. In addition there have been major recent changes to the operation of the relief. How will you obtain the optimal benefit from the application of the regime to your company? Income from qualifying patents and certain other qualifying intellectual property rights and exclusive licenses over them can be taxed at a lower rate of 10%. A company’s normal tax rate on profits will currently be 19%. Companies must perform development activity on the patents and other qualifying IP rights in order to qualify. For a company in a group of companies it must also satisfy the active ownership condition. Companies will need to make an election for the Patent Box to apply. Understanding the best time to elect into the regime will be crucial. There is a mechanical process for calculating qualifying profits. This is complex and the new regime in place from 1 July 2016 has further complicated the calculations and introduced the need to track & trace associated R&D expenditure. Although old IP rights may be grandfathered and not be within the new regime at present, all qualifying IP rights will enter the new regime by 1 July 2021 and in any case you will still need to track R&D expenditure from 1 July 2016. Smaller companies may opt for simplified calculations to reduce the compliance burden. Recognising the delay that can occur in obtaining IP rights, up to six years of additional qualifying IP profits may be brought into the calculations in the year in which the right is granted. How can we help you optimise your claims? We specialise in advising companies of all sizes how you can optimise your claims under the Patent Box regime. In practice there are a range of services we can provide that you could require in evaluating whether and how to claim the benefits available. The benefits of the relief are only available to qualifying companies fulfilling the qualifying conditions with respect to Patent rights, Patent ownership, and intellectual property income flows. This is clearly more than just an exercise for the finance or tax department and a combination of skills may be required. We are able to advise you on understanding how to ensure that your company is in the best position to optimise the benefits available under the Patent Box regime. In addition the complex calculation process relies on your accounting systems being able to generate the information required and we can assist you in building processes to capture the information required in an efficient manner. If you are preparing the claim in house as part of the corporation tax compliance process, or if you are preparing tax calculations as part of the financial forecasting, accounting or audit process you will need to be confident in the preparation of your figures. We can review your claim methodology using our experience and knowledge of the legislation to provide you with the assurance that you are optimising the benefits available and reporting robust figures. We believe that the key to optimising this relief is to have performed the information capture and analysis necessary to then build the optimal claim methodology. This will involve modelling the various options available under the legislation for calculating the amount to claim. We provide advice and assistance on ensuring that your claim process is as efficient as possible capturing the right level of information. The aim is to optimise the interaction of the impact of the claim process and the utilisation of the resources of your company. You may wish to prepare the Patent Box regime computations in house and we can provide assistance in ensuring that your finance teams are up to speed with the legislation and practice in order to be able to do this. We can provide a range of assistance depending on your particular requirements.